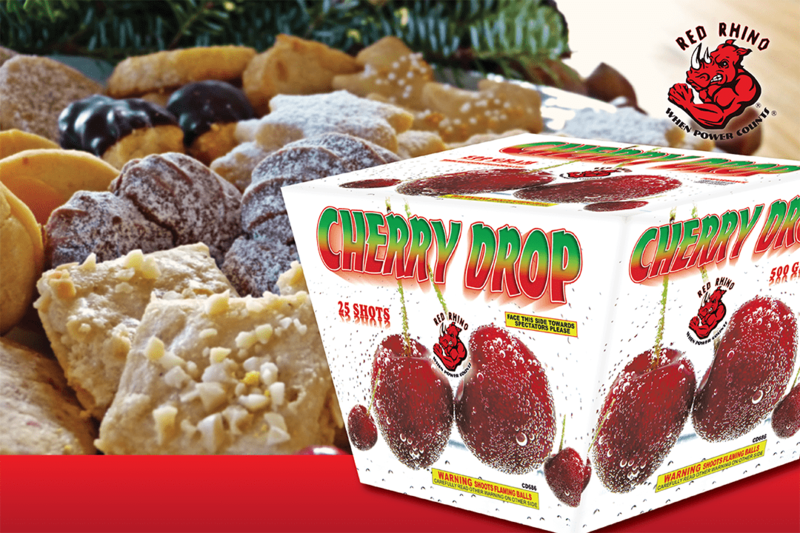 If you love bright red breaks, you’ll love Cherry Drop! Red Rhino Red is all over this one with deep red mine to deep red dahlia. 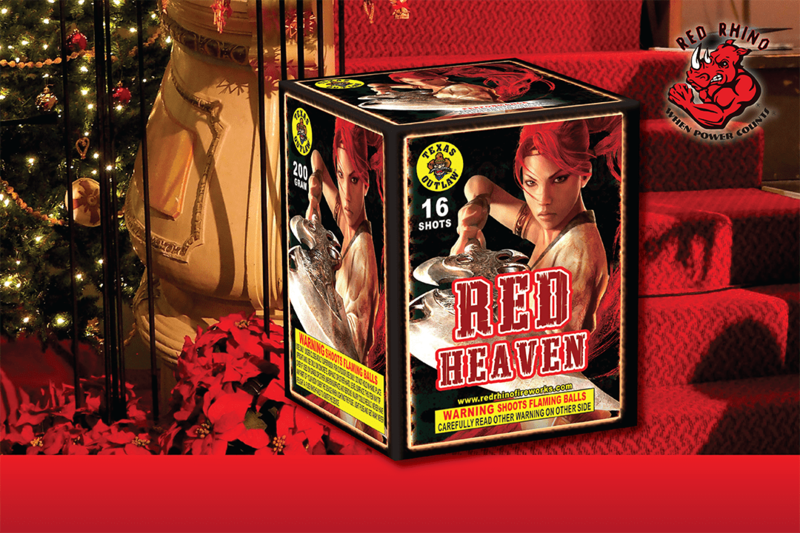 The bright red color in this powerful 200 gram cake would make even Rudolph jealous! 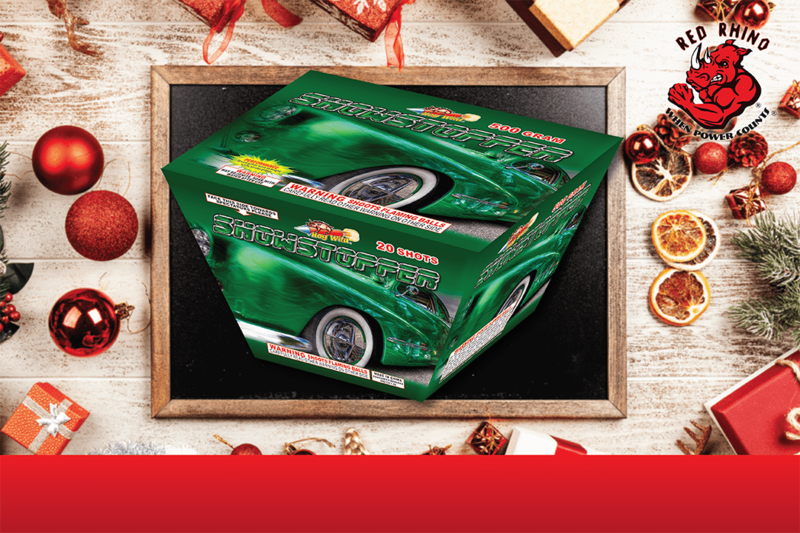 Stop wrapping those gifts and check out the beautiful green and white glitter breaks in this 20 shot cake. 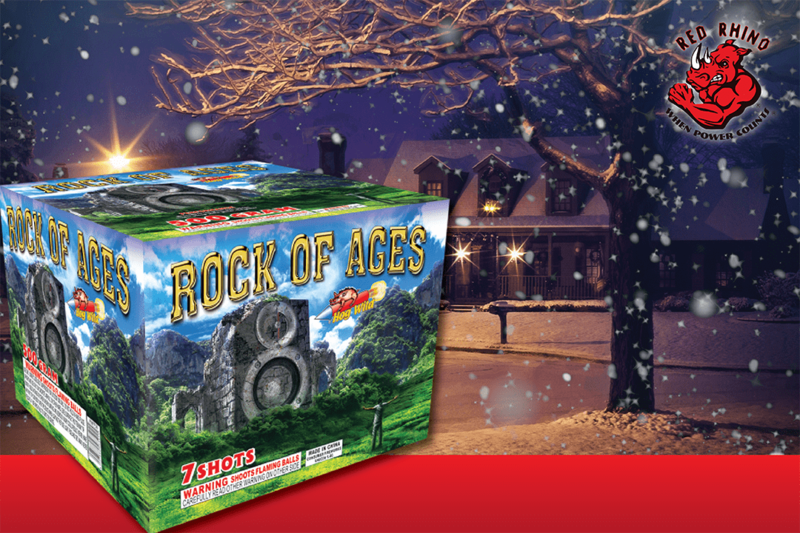 “All was LOUD, all was BRIGHT!” Wake up the neighborhood with this 7 shot BEAST featuring red, green and gold glitter. It just wouldn’t be the holidays without sparkling Christmas lights! 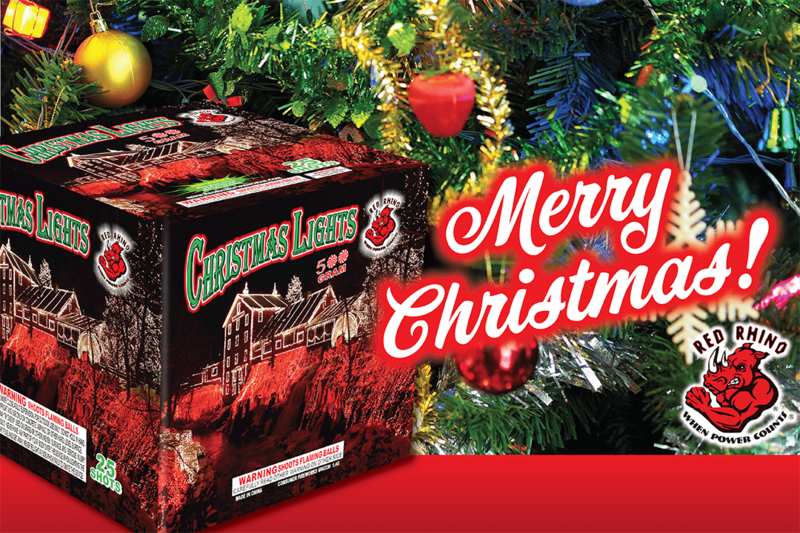 Red Rhino wishes you and your family a Merry Christmas and a Happy New Year!